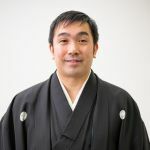 The purpose of this article is to practice and validate the Ki principles (Mind moves body) which are the foundation of Ki-Aikido in your daily life. Therefore, it has no meaning if you just read it without practicing it. The fundamental method of mastering anything is practice. However, not just practice, but it is also important to validate how one has changed as a result of the practice. It is easy to lose what you have learned without practice. On the other hand, you will never lose what you have learned through practice and validation. Therefore, please read, practice, and validate the contents of my article at least a month. To learn oneness of mind and body, we do “Gyo” in Ki-Aikido practice. “Senshin no Gyo” and “Sokushin no gyo” are also called “Gyo”. On the one hand, it is extremely important to gain knowledge. However, it would be unwise to conclude that you understand when you have only gained knowledge. Fundamentally, to “understand” means to “ be able to do”. If we just gain knowledge about oneness of mind and body, this does not necessarily mean that we can do oneness of mind and body. To learn and master oneness of mind and body, we need “Gyo”. “Gyo” means practice. You might not yet be able to experience Senshin no gyo and Sokushin no Gyo in your daily life. However when you are able to, this will be a wonderful experience. Therefore, I hope you will experience this sometime soon. In the mean time, there is “Gyo” which you can practice in your daily life. For example, set a time period and practice something everyday at that decided time. Choose something which you do not normally do in your daily life, and practice this every day of the week. A man who attended my seminar set the following goal: “When I wake up in the morning, I will say good morning to my family with a smile.” Some of you may think, “Oh, that is such an easy thing.” However, this is not an easy thing. Our mind does not remain in the same state everyday. However, most people think their mind stays the same everyday. We do not always realize our mind is constantly changing. To do the same practice everyday and at the same time, you need to face your own mind. Below is practice and validation. Set your goal to perform some practice in your daily life. Your goal should not be unusually difficult, but it should be one that you do not practice now. If you can continue practicing it for a month. If you fail to continue, consider the reason why you were not able. Then, think how you can do it, and try again.